A good quality, 19th century, French crystal glass dome. 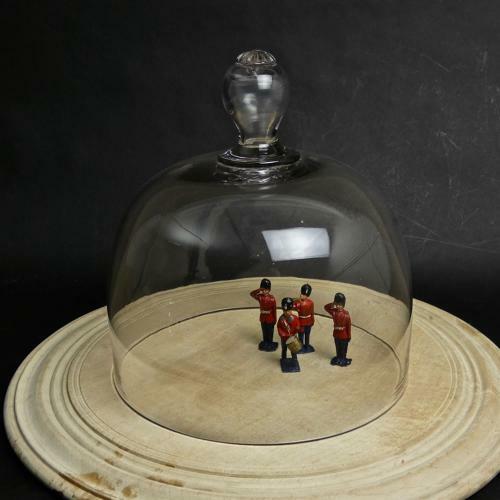 This type of dome were usually used as food covers and this one is a very useful size. It has a very attractive, hollow knop to the top, it is made from a heavy quality lead crystal and it dates from c.1860. It is in excellent condition. Price includes postage with the U.K. Shipping to the U.S.A. add £35. Western Europe add £10.